Combining a diverse selection of BOSS amps and effects with a unique knob-based interface, the new ME-80 delivers the equivalent of a huge pedalboard of stomps in one travel-ready unit. Hands-on operation makes it a breeze to dial up great sounds instantly, while eight multifunction footswitches and other enhancements provide even more flexibility and real-time control options. Mobile, battery powered, and packing more incredible tones than ever before, the ME-80 is the ultimate compact multi-effects unit for gigging players. Available as a free download, the powerful BOSS TONE STUDIO software unlocks even more tonal possibilities for the ME-80. It offers a graphical interface for editing and organizing sounds on your computer, plus a connection to the newly launched BOSS TONE CENTRAL website for direct access to free gig-ready patches created by top pro guitarists and much more. If you’re into BOSS guitar and bass gear, BOSS TONE CENTRAL is the place to be. The initial focus of this all-new web portal is on the ME-80, but content related to BOSS compact pedals and other multi-effects processors will be rolled out continuously as the site evolves. Right now, you have access to great ME-80 video demos, free custom patches, and more. Check it out! With a total of 30 panel knobs—that’s right, 30—dialing up tones on the ME-80 is as easy as using your favorite compact pedals. Eight different effects categories are available simultaneously, and each contains numerous effects types to choose from. The knobs provide direct access to sound selection and parameter editing, with no need to scroll through screens and menus like more complicated multi-effects units. Your favorite settings can be saved in 36 user patch locations, allowing you to recall custom effects configurations at the touch of a pedal. There are also 36 preset patches to get you started in creating your own tones. The ME-80 is outfitted with an enormous range of BOSS effects, from overdrives and distortions to wahs, mod effects, pitch shifters, delays, and beyond. BOSS’ latest MDP technology is represented as well with the unique Tera Echo and Overtone effects. There’s even a Phrase Loop function with 38 seconds of recording time! Also included are nine updated COSM preamps, providing pro-level amp tones for live performing, direct recording, and practice with headphones. On hand are essential vintage classics, as well as new Crunch and Metal options and an AC preamp designed for acoustic/electric guitar. With the onboard expression pedal, you can access Pedal FX like wah, octave shift, and Freeze, and it’s even possible to control other effects parameters such as mod rate and delay oscillation. The pedal features an integrated switch that lets you toggle between foot volume and the current Pedal FX setting. 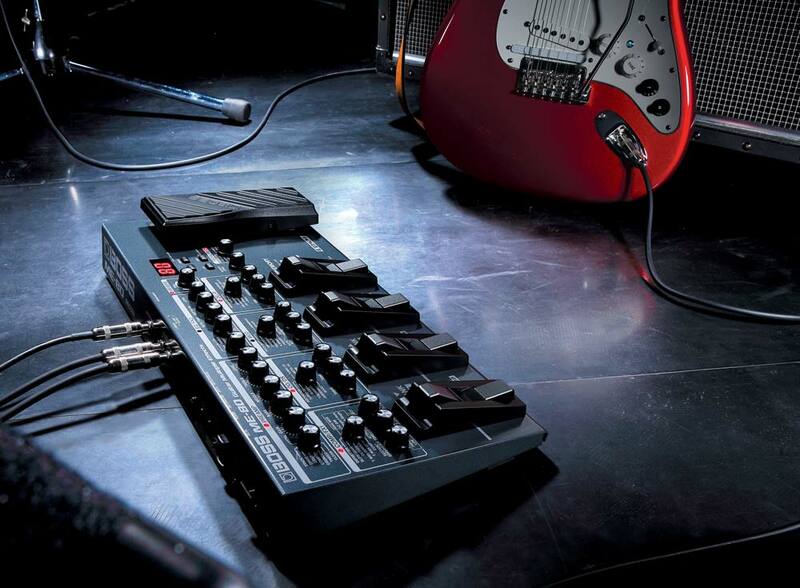 The ME-80 features two operation modes to suit how you like to use your effects. Manual mode provides direct on/off control of each effects section via footswitches, just like using stompbox pedals. In Memory mode, you’re able to access user or preset patches and call up stored settings for all the effects with one action. 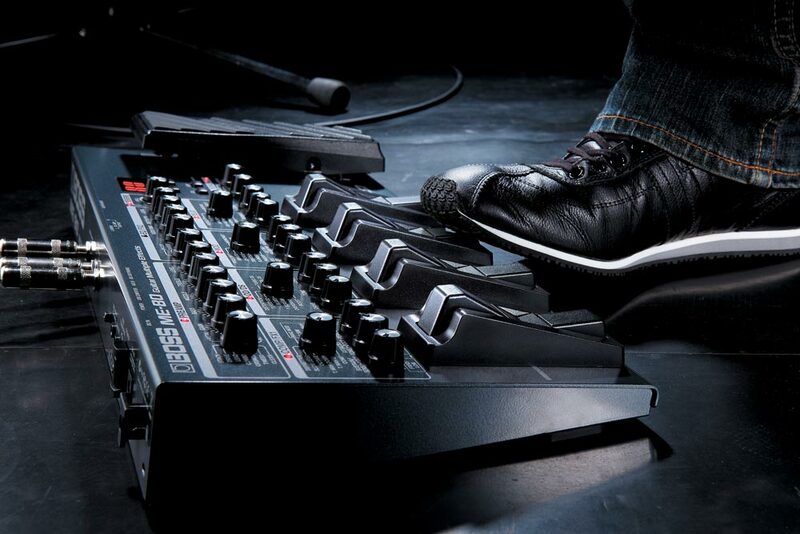 One of the ME-80’s footswitches is dedicated for mode selection, letting you switch modes any time you like. In either mode, you can always reach down and twist the knobs to adjust your tone on the fly. With its eight newly designed footswitches, the ME-80 offers twice the control of previous designs in the same compact space. This gives you a large range of control options while keeping the ME-80 light and mobile. In addition to controlling the Manual and Memory mode operations mentioned earlier, the footswitches perform additional functions such as tuner access, tap tempo, looper control, and more. In Memory mode, one footswitch can be assigned to a special function in each patch, including adjusting a specific effects parameter or switching a group of effects on/off with one press. 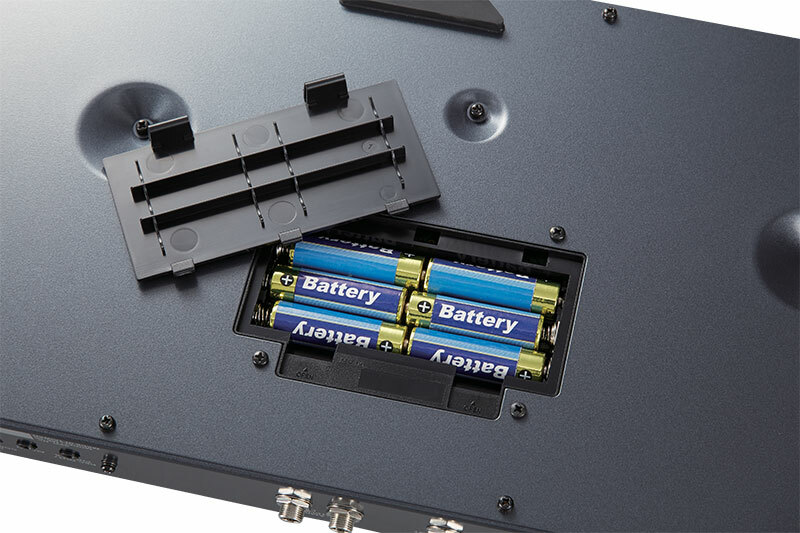 The ME-80 runs on six AA-size batteries or an optional PSA-120 adapter. The ME-80 is equipped with a built-in USB audio interface for connecting to a Mac or Windows computer. This lets you capture the processor’s effects and COSM amps directly into your favorite DAW software, or re-amp tracks by feeding them back into the ME-80. MIDI transfer over USB is also supported, allowing you to select ME-80 patches from your computer and capture expression and control pedal data into your software. USB also provides communication with the BOSS TONE STUDIO application and BOSS TONE CENTRAL on the web. 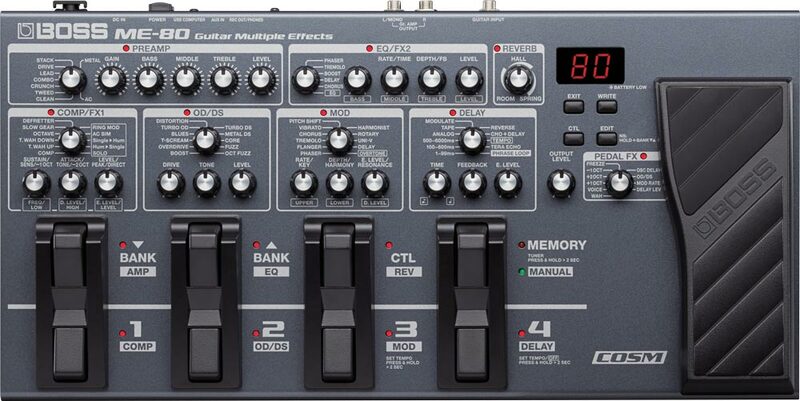 To learn more about the ME-80 Guitar Multiple Effects, visit RolandConnect.com. The me-80 has all the extra goodies on it but I was disappointed that they cut out the easy tone programming that I loved on the me-70. Also didn’t care for the smaller plastic expression pedal the one on the 70 was better made. The 80 is nice but could have been great if they kept the east tone for manual mode. Can i add ME-80 patches onto the ME-25? 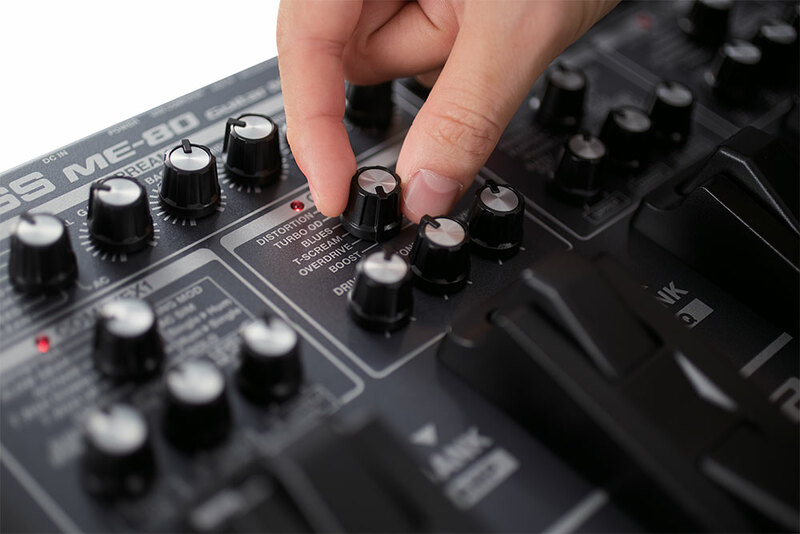 The ME-80 is very different from the ME-25; different effects, amp models, parameters and sound engine. It is not possible to use ME-80 patches in the ME-25. HI DOES THE OD/DIST SOUNDS GOOD INTO A FENDER BLUES JUNIOR VALVE AMP?